Okay, it has been brought to my attention that some may be feeling a little frustrated regarding my seemingly flippant attitude in reference to men who do not hold up their end of the bargain. Ladies, please understand that it is not that I don’t care or understand. Trust me, I do understand seeing as I don’t have a perfect husband; however, I think you are missing my point. What we should all be focusing on is ourselves and making sure we are following God’s directions. God does not say women should submit to their husbands if their husbands are good leaders. Nor does it say that women are to respect their husbands when their husbands act respectively. I also know some of you are concerned that I am a little too hard-core and I am forgetting about grace and how we are not under the law, but I think you are mistaken. I use God’s grace every day, especially when it comes to being a wife and mother. I make mistakes daily and it is only by His grace that I am able to keep on walking. That being said, just because I have His grace, does not mean I am not to try to live up to His expectations. If we want the promises that God offers, we must walk in the ways of the Lord. No, it is not easy to keep on doing nice things for a husband who is not reciprocating; however, you must trust that God will honor your faithfulness. Now, that being said, while we must be diligent about doing what God has asked us to do, we can also find ways that make it easier for our husbands to fulfill our needs. Ladies, let’s face it; men are not mind readers and sometimes we can save ourselves a lot of trouble if we just tell them what we want. Last year, I decided to just bite the bullet and give my husband a list. It had a list of things he could do to make me feel loved, tips on my favorite things, gifts I would like, a list of my sizes, etc. This way, he didn’t have to guess as much and I would get my needs met. I encourage all of you who are finding your needs unmet to do the same. Remember to update your list if your tastes change (or your sizes). Now, before you give it to him I suggest you have a conversation with him regarding your intentions. The last thing you want is for him to feel like you are manipulating or judging him. Come at him with love and sincerity and I bet he will be more receptive. I must also advise you to prepare yourself for the possibility that this may not change anything. Say what? Unfortunately, some men still won’t get it and the devil would love nothing better than to use this to get you to give up. However, if we make the determination ahead of time that our husbands’ actions or lack of actions will not deter us from our mission, than the devil has no hold on us. Once again, easier said than done, I know, but what is the alternative? I mentioned above that I gave my husband a list last year and I betting you are wanting to know how well it worked. Well, hmm..I’m going go with…. I think he lost the letter. Yep, unfortunately I would be one of those women whose husband just hasn’t gotten there, so I understand and feel your pain more than you think I do. However, instead of focusing on what my husband is and is not doing I am focusing on what I am doing . [Now, I would like to point out that I do indeed have a great husband. It just so happens that some things come more easily for him than others and I haven’t been great at meeting his need either.] Furthermore, I can’t even remember what was in the letter; therefore I think it is time for a new one. Some of you may be wondering why I am telling you to do something that obviously did not work for me. Well, the answer is simple: God told me to. Bahaha! Missy, keep your focus on Him and His calling!! I so appreciate your boldness and yet full of love encouragements. The role of a wife is difficult. But God’s Word is the same yesterday, today and tomorrow!! 🙂 I appreciate you tackling and writing about this subject!! 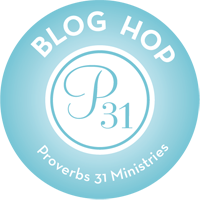 Proverbs 31 is a wonderful chapter of encouragement to women (as well as all the other passages you have tied into your writings). I heard Elizabeth George this weekend. She spoke of taking a gold highlighter and marking all passages about the Lord. 🙂 It took her 6 gold highlighters!! And then she took a pink one and marked all the passages dealing with women and God’s design. This eventually led to the book: A Woman After God’s Own Heart. She taught many good truths and simple messages yet they seem difficult if we look at it with our eyes/mind. We need to look at the Lord’s messages in His Word with a heart for Him. Thank you. I love your long response! God bless. Next Next post: 31 Days to Becoming a Better Wife: Day 31: That’s All Folks!